Objectives: To explore the psychosocial impacts of dentistry as described by patients. Methods: I conducted 6 qualitative interviews with people whose access to dental care had been limited because of financial barriers, but who had recently undergone significant treatment through a dental outreach program. Results: In addition to physical benefits (including improved sleep and diet), participants discussed how dental treatment led to a greater level of confidence and an improved self-concept. They provided powerful examples of how this confidence boost improved their social interactions and relationships. They also felt more confident about their employability. Conclusion: The benefits of adequate dental care extend well beyond its physical and medical aspects. 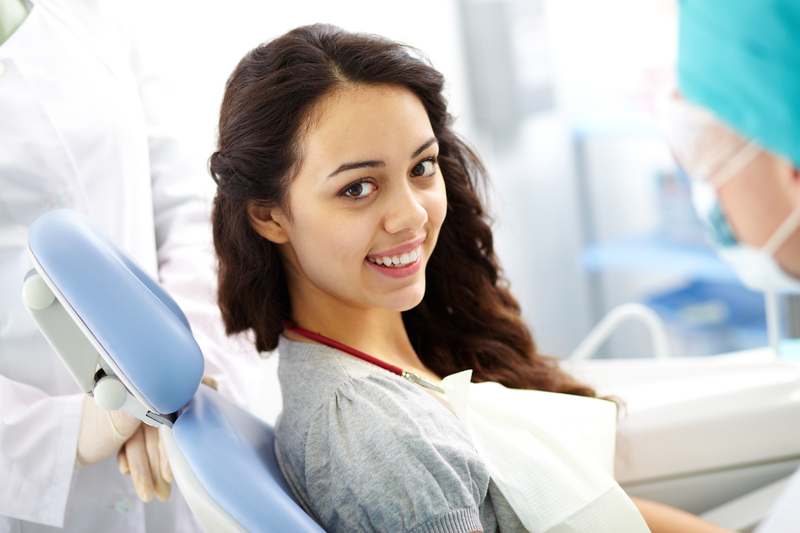 Dental health is connected inextricably with people’s sense of self and social functioning. The far-reaching consequences of dentistry explored in this research raise questions about the inequalities in Canada’s current system and the need to address them. My aim in this study was to expand on the existing literature by considering the perspective of people with poor oral health, who have had the benefit of dental treatment. This contrasts with most of the literature, which focuses on the reactions of others. More specifically, I was interested in how these people experienced the appearance issues their dental problems created for them and how they understood the effects of the dental treatment they received. To determine the effects of dental care on lived experience, I interviewed 6 patients who had recently received dental care from an outreach program in Ontario. All were recruited through the dental outreach organization, which agreed to distribute information about the study to a sample of their patients so that those who wished to participate could contact me. Although I did not have specific participant criteria for the study, the nature of recruiting through the dental outreach program limited participants to adults demonstrating financial need. Three of the participants were male, and the other 3 were female. Each interview lasted approximately 25 minutes: 4 took place in person, another 2 over the telephone. Those interviewed in person signed consent forms, while those with phone interviews provided verbal consent after reading a copy of the consent form. Respondents did not receive compensation for their participation in the study. I used a qualitative research method to gain an in-depth understanding of the issue. I approached this research using the symbolic interactionist perspective. Symbolic interactionism is a microsociological perspective rooted in the idea that people understand situations based on their social interactions with others and general society.9 Because of the concern with lived experience in symbolic interactionism, I aimed to get as close to the perspective of the participants as possible. To achieve this, I employed a naturalistic approach using conversational-style interviews based on an interview guide. I started by asking participants what encouraged them to apply for the dental program. From there, I asked open-ended questions, such as whether they had noticed any changes in their lives since the treatment. To end every interview, I asked participants if there was anything else that they thought was important to add to the discussion. This interview style allowed respondents to discuss their experiences in their own terms, while reflecting on the way they interacted with society before and after dental treatment. With the consent of the participants, I audio-recorded the interviews, transcribed them verbatim and subjected them to a thematic analysis. Because of the exploratory nature of my interviews, my research followed an inductive method. Inductive theory involves drawing conclusions based on one’s findings rather than using research to test a theory.10 I reviewed the transcriptions to determine the overlapping themes that emerged in the interviews as a basis to reflect on the impact of dental care on individuals’ lived experience. This project was reviewed and approved by the McMaster Research Ethics Board. Most participants discussed the impact of the dental treatment they received in physical terms, including pain relief, general health improvements, the ability to eat a more nutritious diet and improved sleep patterns. However, the interviews were particularly striking in the emphasis that participants placed on how much more confident they felt as a consequence of the dental treatment. They discussed this confidence boost in relation to their self-concept, their interactions with others and their employability. Another respondent contrasted how he felt about himself before and after treatment by referring to a “snowball effect.” Once “down” on himself, he described the steadily growing sense of confidence he was experiencing as a result of having his teeth fixed: “If you feel better about yourself, keep thinking that way, you’re going to keep feeling better and better and better about yourself.” He predicted that this more positive view of himself and general outlook on life would continue to make things better for him. The data highlight how the undesirable appearance of their teeth led participants to experience low-self-esteem. However, with treatment, their definition of themselves began to change. They began to feel more positive about themselves and experience higher levels of self-confidence. In reflecting on their social interactions, participants gave expression at an intuitive and experiential level to the “what is beautiful is good” theme identified in the literature. They experienced first-hand the negative attributions, judgements, stigma and isolation that go along with violating societal appearance norms. However, they also had the opportunity to experience the difference that dental treatment can make. Once isolated and estranged from family and friends, they were now able to describe more positive interactions and the re-establishment of relationships they once thought were lost forever. A final theme that emerged from the data was how participants experienced their improved confidence in the context of employability. Most felt that their job and career prospects had been enhanced as a result of the difference dental treatment had made in their self-esteem and confidence levels. Applying for a job or requesting a raise is difficult for most people under the best of circumstances, because it involves exposing oneself to vulnerability and rejection. For those with dental problems that affect their appearance, the stakes are even higher. Although the literature shows a relation between dental appearance and employment, there are still questions about its nature. The experiences of participants in this study highlight some of the complicating factors, including whether individuals with poor dental appearance pursue employment opportunities in the first place, the types of opportunities they seek out and their confidence in these pursuits. Although limited in terms of number of participants, this study nevertheless yields valuable insights into the social impact of dental treatment that improves individuals’ appearance. The participants spoke eloquently and powerfully about the ways in which their treatment improved their lives. People who felt diminished and stigmatized by their poor oral health were able to overcome these feelings. They experienced a boost in confidence, which manifested itself in a more favourable self-concept, heightened willingness to interact with others, strengthened familial relationships and increased confidence in relation to employment. The subjective nature of interview-based research puts inherent limitations on the conclusions that can be drawn from my findings. Because of the logistics of recruitment, the time frame of the research project and the narrow target population of people who have recently gained access to dental care, the sample size in this study is small. This introduces additional limitations to the generalizability of my findings. However, the results of this study complement and reinforce the findings of large-scale, quantitative surveys. Although the self-reporting method does not result in objective findings, it does provide valuable insight into the patient perspective. My results provide a glimpse into how the lives of people whose appearance is affected by the lack of proper dental treatment are impacted in such a far-reaching way. They also show how extensive the benefits of receiving treatment can be and should prompt a more urgent conversation about access to dental health in this country. Ms. Kerr is a candidate for Doctor of Dental Surgery, faculty of dentistry, University of Toronto. Acknowledgements: This project was completed at McMaster University under the supervision of Dr. Dorothy Pawluch. I thank Dr. Pawluch for her support, guidance and invaluable feedback throughout the entire process. Khalid A, Quiñonez C. Straight, white teeth as a social prerogative. Sociol Health Illn. 2015;37(5):782-96. Dion K, Berscheid E, Walster E. What is beautiful is good. J Pers Soc Psychol. 1972;24(3):285-90. Beall AE. Can a new smile make you look more intelligent and successful? Dent Clin North Am. 2007;51(2):289-97. Newton JT, Prabhu N, Robinson PG. The impact of dental appearance on the appraisal of personal characteristics. Int J Prosthodont. 2003;16(4):429-34. Eli I, Bar-Tal Y, Kostovetzki I. At first glance: social meanings of dental appearance. J Public Health Dent. 2001;61(3):150-4. Singhal S, Correa R, Quiñonez C. The impact of dental treatment on employment outcomes: a systematic review. Health Policy. 2013;109(1):88-96. Glied S, Neidell M. The economic value of teeth. J Hum Resour. 2010;45(2):468-96. Hyde S, Satariano WA, Weintraub JA. Welfare dental intervention improves employment and quality of life. J Dent Res. 2006;85(1):79-84. Blumer H. Symbolic interactionism: perspective and method. Los Angeles: University of California Press; 1969. Bryman A. Social research methods, 4th ed. New York: Oxford University Press; 2012.